Want to get backlinks naturally because you realise that buying backlinks will get you a Google penalty? Then there are 10 elements you need to include in your blog posts. These elements are the best way to get quality backlinks in 2018. You know that one of the most important SEO services is to get qualilty backlinks for your blog. You probably read before that one of the best ways to get quality backlinks for SEO in 2018 is by creating well written blog posts, right? Well, there is some truth in that. When you know how to write blog posts for SEO, you will definitely be ahead of the game. There is a fallacy that says that people will link to high quality posts. If you have been blogging for a while, you may well have noticed that quality does not equal backlinks or shares. In fact, some of the best online content gets no shares while “viral” sites that scrape content end up getting lots of shares.
. Quality does not equal success. High quality content will not get backlinks by itself. Instead, you need to produce certain types of content. 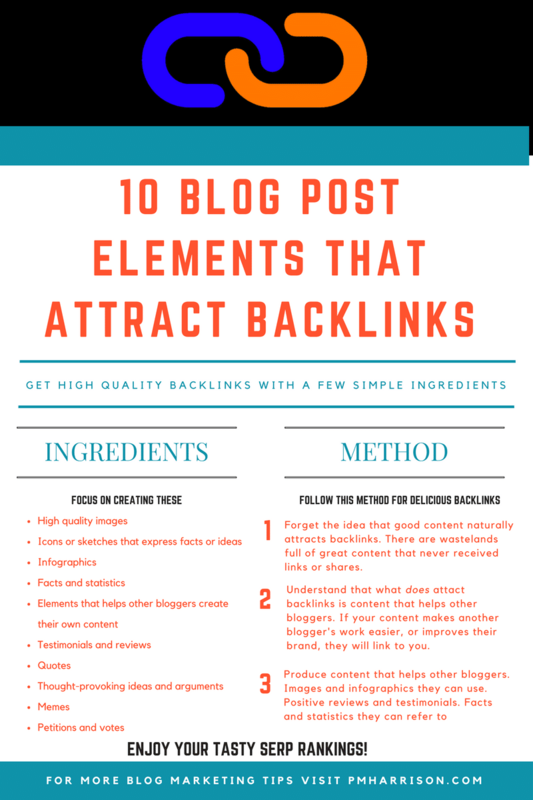 Over the numerous years I have been blogging, I have noticed that certain types of content earn qulity backlinks than other types of content. And in particular, I have noticed that content that includes certain features is especially good at earning quality backlinks. High quality content will not earn quality backlinks. Content that helps other webmasters will. The wrong way how to get quality backlinks in 2018 is to create “good” content. The right way how to get quality backlinks in 2018 is to create content that helps other bloggers. To earn quality backlinks for SEO, produce content that achieves those points above. Here are the top 10 ways how to get quality backlinks for SEO in 2018 by hitting those points above. The absolute number one way how to get quality backlinks for SEO in 2018 is to produce high quality images in your blog. And the absolutely shocking thing about this is that a lot of high quality blogs get backlinks for images that aren’t theirs. Take a look at TheMindUnleashed.com. They have a domain authority of 60. And the vast majority of their backlink profile is for images that they did not produce. TheMindUnleashed uses very high quality images at the top of their blog posts. They get those images from places like DeviantArt.com. Other bloggers use those images and link back to TheMindUnleashed and not to DeviantArt, so TheMindUnleashed gets the lion’s share of the link juice for an image they did not create. 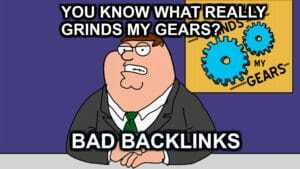 Why do bloggers give high quality backlinks to TheMindUnleashed? The reason is simple. The bloggers do not know that the image came from DeviantArt and not TheMindUnleashed. And the reason they don’t know is that TheMindUnleashed puts their own image source link way down at the end of the post so that other bloggers don’t see them. TheMindUnleashed has “earned” high quality SEO backlinks in droves this way. And it is all using content that is not their own. Now, I am not advocating the use of images that you don’t have the copyright for. In my opinion this is not the best way how to get quality backlinks for SEO in 2018. It can lead to legal trouble. However, you definitely do need high quality images. They are by far the easiest way to get backlinks. How do you get high quality images? Ask artists if you can use their work. Use copyright free images from places like Pixabay.com. Or pay the fee for a professional stock image service. There is another great way how to get quality backlinks using images: Create images, icons, or comic strips that tell a story or express an idea. This is one of the quickest ways to get backlinks for SEO in 2018. Important caveat: The idea must be an idea that other bloggers want to express in their own articles. This is the basic concept of memes. People use memes again and again because they express a common feeling or concept. You want to express how you feel. The find the right meme for the occasion. This idea is not exclusive to memes. We can also use images for more serious ideas. Let me give an example by creating one for this very article. Let’s say I want to express the fact that people share content that reflect their own feelings and ideas. Simple little images and sketches like this are one of the best ways how to get quality backlinks for SEO in 2018. The important thing is that the image express a commonly held idea and that it expresses that idea clearly. Even a very simple icon, like the icon of a backlink (below), can attract backlinks. Because it has the potential to be used on thousands of sites. Especially if it’s in the right format (the image below, for instance, is a transparent PNG of a backlink icon—pretty useful, could possibly get backlinks, and it took about two minutes to produce). There are already very many blog posts advocating the use of infographics for SEO backlinks. The subject has been exhausted. As such, there is very little I can add to this conversation. Instead let me refer you to Felix Tarcommicu’s article on Monitor Backlinks. High quality sites (and high quality bloggers / writers) like to qualify their arguments by referring to facts and statistics.And you can use this as a way to earn high quality backlinks from authority sites. Readers expect arguments to be backed by hard facts. Being the source of those facts is one way how to get quality backlinks. Research every article you create. Write a list of relevant facts and statistics. And present that information very clearly. Other bloggers who write about the same subject will likely link to your post in order to substantiate their own. In order for other bloggers and readers to trust your content, you will need to qualify your own arguments. That means that you yourself will also need to link to other people’s stats and facts. Bloggers share content that they would produce themselves if they were able or had the time. For instance, let’s say a blogger is reviewing a video game. They don’t have time /cannot take their own screenshots. So instead they use yours and drop a backlink. You’re saving them time in exchange for a backlink. Anytime you make another blogger’s life easier, or you make it quicker for them to complete their work, you will be likely to earn quality backlinks for SEO. Everyone in the world is trying to improve their reputation, their authority and their branding. When we help them to achieve that, we are likely to earn a high quality backlink for SEO. For instance, let’s say that a blogger is trying to assert themselves as an authority in this very subject matter (getting backlinks). The best thing in the world to this person would be for other bloggers to treat them as an authority. If you were to take part of this article, quote it on your own site, and then refer to me by name as an authority, I would very gladly give you a backlink, partly as a thank you and also because it helps me further my own business. Lot’s of sites have testimonial / review / quotes sections that they use to prove their worth to their readers. These are often important pages, too, meaning a high page rank. By speaking positively of other bloggers, using their quotes, etc., you provide lots of incentives for them to backlink to you. And that is the best way how to get quality backlinks for SEO in 2018. Testimonial link building is considered a win-win scenario. This is because the website you leave a testimonial on will benefit from your feedback since it helps build trust in its visitors. On the other hand, you will get quality links that point to your website. You just need to say a word or two about your experience with their products or services.
. Getting links from other bloggers is just one way. Another way is to get link from people discussing your blog in forums. Forum users have a different purpose than bloggers. Their purpose is to discuss things with other people and to find answers to their questions. One of the best ways how to get quality backlinks on forums is to create very thought-provoking content. Or content that makes readers ask someone else a question. The Gold / Black dress is a brilliant example. Everyone wanted to know what colour other people thought the dress was. So they shared the image. On social media. On forums. Everywhere. You can also provide a thought-provoking opinion on a popular subject. One article I wrote that attracted backlinks simply gave a plausible psychological reason for why First Person Shooters are the most popular type of game. It was an easy article to write. But it was thought provoking, and so it provoked discussion, and discussion means backlinks and shares. So much has already been said about memes that there is little to add to the discussion. A good meme can generate hundreds of backlinks in no time. But remember that you want relevant backlinks for SEO in 2018. For a site to rank highly for a search term it needs links from the right link neighbourhood. Make sure your meme attracts people who are working in your niche. Quotes can be a fantastic way to get quality quality backlinks for SEO. These are links from forums and from some lesser experienced bloggers. It’s easy enough to grasp why quotes work. A blogger or forum member is writing something. They want to include a famous quote. They can’t quite remember how the quote goes. They Google it and come to your site, where the quote is nicely written-out for them. They copy the quote and paste it on their site / forum. Because this individual has only copied and pasted your words in order to save time, they are not likely to consciously choose to leave a backlink. No matter. If you have a piece of code or a plugin on your site that automatically creates a backlink when someone copies and pastes your content, you will still get the backlink. This is a quick way how to get quality backlinks from low-to-mid- Domain Authority sites. The entire concept of a backlink is to provide a way for people to find one page from another. And to produce a backlink, someone has to choose to put it there (unless it is an automated backlink, which are bad for SEO). When you look at the fundamentals of backlinks, you realise that the best way to get a backlink is to make other bloggers want their readers to see your content. And one of the best ways to do that is to make a visit to your website have an influence on the other blogger. Votes, for instance. If you run a contest to find the best blogger in your niche, those bloggers are likely to share your contest in an attempt to win the contest. One of the best backlink generation tactics of the year is TorgueMag’s Plugin Madness Competition. This is a competition in which readers vote for their favorite plugins in a series of different rounds, until one plugin is declared winner. Why is this such a genius idea? Because the companies that make the plugins all want to win. And to try and win, they share the contest with their fans, asking their fans to vote for them. Because of this, the contest draws huge amounts of backlinks from high quality sites. This is just one example. There are countless possibilities here. The take-away point is that you must make it matter that another blogger’s readers visit your site. That way, those bloggers will want to link to your site and promote that link in order to gain whatever positive influence you’re putting on the table. Forget the misguided concept that high quality content gets backlinks. It’s simply not true. What draws backlinks is content that helps other bloggers achieve their ambitions. What is the ambition of other bloggers in your niche? Some ambitions are universal. All bloggers want traffic. All bloggers want a good brand and authority. All bloggers want high quality content. Help them get those things and you will get lots of backlinks and improve your Page Rank so you rank highly in Google. But some niches may also have unique ambitions. For instance, I work with independent authors, app developers, and game developers. One of the ambitions they have is to attract people who play similar games, read similar books, or enjoy similar apps to theirs. For instance, an independent developer who makes First Person Shooter will want to be seen in the same light Call Of Duty. Therefore, if I am working on my gaming blog, one of the best things to do is to compare independent games to similar, bigger games. I once wrote about how an independent platformer was similar to Mario 64 (which is the best platform game of all time). The game developer in question was thrilled and more than happy to promote my content and provide a backlink. You understand the desires and ambitions of other bloggers in your niche. You provide content that helps them achieve that aim. This can mean that a backlink strategy in one niche is completely different to a backlink strategy in another. If, for instance, bloggers in your niche are not good at technical matters, like making graphics, they might be starved for infographics, in which case your one infographic might do very well. On the other hand, an infographic made for the graphics niche might tank simply because everyone else in that niche is also creating infographics. In closing, understand the needs of other bloggers in your niche, and help them achieve those things. That is the best way how to get quality backlinks. I’ve created a little infographic you can share / print / use on your own blog (with a backlink, naturally). Make sure you optimize internal links too. Have you ever wondered how to get quality backlinks naturally from real people? Links that actually mean something, rather than those auto-generated spam comments? You know you need high-power (high Domain Authority) quality backlinks for SEO in 2018 in order to improve yoursearch rankings. But you may have noticed that it’s far from easy to get those qualiity backlinks. Competitors don’t give out links for free, you are not allowed to buy them, and you’re penalised by Google for unnatural linking strategies. What do you do? In a moment, I will show you how to get backlinks from influencers while making them love you (yes, it’s possible). But first, let’s investigate the reasons why it is hard to get backlinks. I am assuming that you have a good idea about what backlinks are and why they matter so much. I won’t go into this here, because this is not strictly an SEO site, rather a copywriting one. If you would like a technical definition of a backlink I highly recommend MOZ’s guide. So, we know the technical definition of a backlink. And this is where so many people go off and build backlinks automatically by creating spam comments and using all sorts of Black Hat SEO tricks. They spend months doing this, and then they realise that they have a Google penalty for unnatural links. C’est la vie. When you look at backlinks from a technical perspective, you miss the entire point in backlinks in the first place. Backlinks are not a technical thing. Backlinks are a human thing. The reason why it is hard to get backlinks is because you are not approaching the right people on a human level. It’s hard to get backlinks from high quality sites because you do not know the people who own them / run them. So why in the heck would they bother helping you out, especially when you are a competitor? Forget for one second that you need quality backlinks for SEO. Instead, realise that you need real people (and mostly strangers) to do you a favor. When we say “getting backlinks” we really mean, “asking someone we don’t know to do us a favor”. Just run with that idea for the remainder of this article because this is going to completely change the way you see backlink generation. Now that we are looking at backlinks as a natural and human thing, the whole picture changes. We now understand that we need real people to help us, and that lots of those people are strangers. So how do you make a stranger do you a favor? Thankfully, for the past 81 years there has been one definitive source to making friends with strangers. That source is Dale Carnegie’s indispensable How To Win Friends And Influence People. First published in 1931, this book is the go-to resource for anyone who needs to build, which is precisely what you need to do to build backlinks. If you have never read the book, you can pick up a copy on Amazon. Now, let’s take a look at how we can use the wisdom in Dale Carnegie’s book to build backlinks naturally from real people (your influencers), while making them love you at the same time. The steps in this process are based on Dale Carnegie’s points. There are 30 points in the book. Here I have focused on the points applicable to building backlinks. 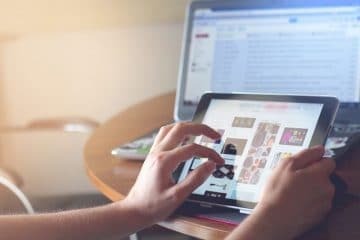 Consider these points when planning your next blog post. How many times have you received a message from someone asking for a backlink or a review or some other service with absolutely no introduction? The other day I received a message from a book publisher asking me to write a story about their client’s new novel. They didn’t even say hello or introduce themselves. And it was obvious that they didn’t have a clue about me and that they didn’t care either. Why on Earth would I bother creating an article for someone I don’t know who hasn’t even bothered to introduce themselves to me? I wouldn’t and I didn’t. The funny this is, this is precisely how lots of people go about building backlinks. They simply ask for them. It’s fine to ask a friend for a backlink. A stranger, on the other hand, is not going to just give you a link for no reason, especially if you do not show genuine interest in them. So, the first thing to do, is to become genuinely interested in your influencers (the people you want links from). Follow them on Facebook and Twitter, get involved with their site, and make it very obvious that you genuinely care about their success. 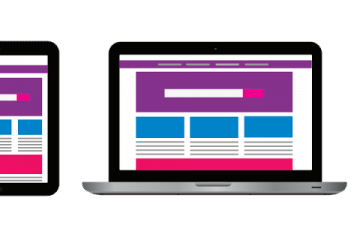 When another site owner feels as though you genuinely care about them, they will naturally take a look at your site, and if they see content they like, there is a very good chance they will link to it. So step 1 is to become genuinely interested in the people you want links from. Don’t ask them for a link (or anything). Just take an interest in what they are doing. Get involved in their blog. And leave very high quality comments. If you are genuinely helpful they will be interested in you. They will then look at your site and will naturally link to parts of it that they value. You know what people love? Knowing that they are appreciated. Much how your significant other cooks you a wonderful meal when you show how much you appreciate them, a blogger will likewise be generous when you show them appreciation. When you tell your influencers that you appreciate the work they do, they will love you for it, and when they love you they will want to help you, which means free backlinks. Try this. Find five to ten bloggers whose work you genuinely love. Find their email address. And write them an email. Hi, it’s Paul Harrison from PMHarrison.com. I just wanted to send you a quick message to say thank you for all the great work you do on your site. You’re a real inspiration and I want you to know it. That is the entire message. I didn’t ask for a backlink. I didn’t ask for anything. I just sent a message saying thanks and subtly dropped my own email there. How do you think this person will respond? Personally, I am excited to find out. I literally sent that message while writing article, so I obviously haven’t heard back yet. But I’ll tell you one thing. They are certain to like the message. Why wouldn’t they? It’s entirely positive. It just says thank you. It asks for nothing in return. Just like a good friend. The individual in question right now is probably looking at my site just out of intrigue, and if they find something they like? They will be very likely to link back to it. And it will be a natural link from a high quality site. And all it took was being nice to a actual human instead of trying to play the Google Game. As an aside, the message I sent was entirely legitimate because I truly do appreciate the work the blogger in question does. The recipient is also likely to message back. And the moment they do that you will have a direct line of communication with an influencer, and you will have an opportunity to follow-up on the original message, which we will do in just a moment. Human-beings are vain. We have ego. And the average person who works online likes to see their name on the screen. Take advantage of that by inserting the name of influencers in your articles. Whatever topic you are writing about on your blog, find other people who have written about the same thing. Then include their name in your article. That way, the next time that individual Google searches their name, they will see your article. Also talk about their work by using quotes in the article, and provide honest but favorable comments about it. When you do this, you will have an article that the other person is already interested in, that talks about the other person, using their name, and also compliments them. Eh voila! you have an article that the other person is very likely to share. One of the strangest things about working online is that despite social media, the internet is a very lonely place. When you have ten people in the office you’re going to get some feedback on your work and you’re going to feel at least somewhat important. But many bloggers work alone. And they rarely get acknowledgement. If you give other bloggers acknowledgement and make them feel important, they will naturally want to link to you because a) they will like you, and b) they will want to show their readers that another blogger sang their praises. This is very easy to do. And it is honest. And it is a win / win. All you have to do is find good arguments that other people have made in their blog posts, and share them on yours, with attribution. Simple. Bloggers want to link to content that makes them look like the authority. Give people that and you will get lots of backlinks quickly. People love it when they think that they were responsible for an idea. For instance, let’s say you have written a novel about a character that goes into space (just bear with me on this because this will pay dividends big time). So, you have written a novel about a character who goes into space. And you know your novel would perform well if only you could get a real-life astronaut to talk about it / link to it. But why would an astronaut link to a book written by someone they don’t know. The answer is: They will link to it and talk about it if you tell them that they inspired the idea. Using Twitter, Tweet at that astronaut: Just released my new book, which was inspired by the real-life story of Mr X (your influencer). Or, to put another, non-astronaut spin on it. Let’s say you’re writing this very article about backlinks, and you want Moz to link to it. Your best bet is to say, “Rand Fishkin inspired this entire thing”. Obviously, this is not going to work in this instance (because my strategy is abundantly obvious), but you get the idea. If people believe they had something to do with creating a piece of content, they will naturally want to link to it. People naturally want to link to things that make them look like a good person. If, for instance, you happen to have an article about saving the lives of abandoned cats, people will want to link to it because it makes them look like a good person. Now, the cats idea is a very obvious and easy one. How do you make this idea work for a less-fluffy subject? How would it work for this very article, for instance? To start with you have to ask who the influencer is and what they care about. My article (this one you’re reading), is about SEO and copywriting. And it’s about making backlinking more human. And that in itself could matter a lot to someone who works online. They want the internet to be more human and less of a machine. Most bloggers can connect with that. So I’ll use it (plus, it is my entire purpose with this article anyway). So, I now know that the “nobler motive” (the purpose) is to make the internet more human by making backlinking a social thing rather than a techie-thing. Next thing to do is to state that purpose in the heading and the first paragraph. That way, the second you read this article you understand the deeper purpose, and if that purpose connects with you there is a good chance you will share it. Of course, the other point here is that you should have a noble motive in the first place. And if you do, you will be in a good place to start. People cannot resist a good challenge, especially when it is a challenge in an area they excel in. Good at spelling? You probably love spelling bees. Professional athlete? You probably love it when people challenge you to a race. Of course, your influencers are not the same as most people. They are experts in their fields. If you give Rand Fishkin a pop quiz of ten easy SEO questions, he’s not likely to share it because, hell, he would obviously be able to answer the questions so what’s the point? You need to challenge your influencers in a way that makes them look good to their readers. How are you going to do that? Let me show you. At the end of this article I have included a couple of questions that are moderately-difficult to answer. And those questions happen to be directly above the comments box. I’ve done this so that people can answer the challenging question and leave a comment. And if they are very happy with the answer they provide, there is a good chance they will link to this article if only to show their readers the answer they wrote. Set your influencers a challenge to make them want to link back to your article. The key here is to create a piece of content that helps to improve your influencer’s content. Let’s say for instance that you’ve just read an article about producing content for backlinks (which is obviously very closely related to this very article). In the article the author makes a good point but does not back it up with statistics, facts, or evidence. You feel this article would be better if it provided that evidence. Your job is to go and produce the content that will make that article stronger. For instance, in an article for NicheHacks.com, Jawad Khan said that Links from .Edu sites carry more weight. And while this can be a good point, it can also be improve upon because only specific pages on .edu sites carry more weight, as John Mu said that only certain .Edu pages carry more weight. The objective here is to have the influencer link to your article in order to improve their own. You have provided additional information to a point they are already making, so there is a good chance they will link to your article. In this article, we’ve looked at how to get backlinks naturally from real people and in a social, human way. My objective here is to make the internet more human by making backlinking a more personable thing. If this is a purpose that matters to you, share this article on Facebook and Twitter and link to it from your site. Is it possible to beat your competitors using purely natural backlinking strategies? What other natural backlinking techniques do you use? 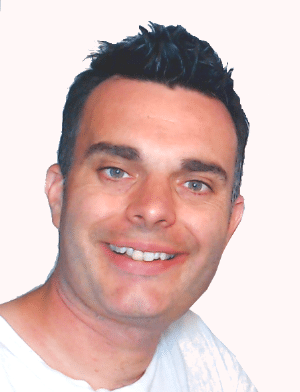 Paul Harrison is a marketing copywriter in the Toronto / Hamilton area, ready to deliver all your copywriting and marketing needs. Visit the front page for details.